The Albatros App offers services which can be accessed by your members and guests via their smartphones. On the basis of the Albatros Web Services (AWS), an additional service has been created. Interested customers can download the free Albatros App for Android and iPhone in the AppStore. Imagine that one of your members invites his or her business partner at the end of a joint meeting to play a round of golf. They want to set up a concrete tee time but your club’s reception is currently not available. 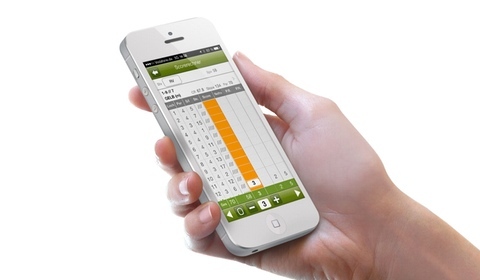 With the Albatros App, your member can easily and immediately make a confirmed tee time reservation. The only requirement is that the App has been installed with personal access data. Prerequisites for your golf course for offering this functions are the respective Albatros Software Modules, especially AWS and the clearance of this services for the App. Many golfers already know the functions of the Albatros Web Services which are for instance integrated via a club’s website. On this basis, we have developed an application which, with the help of the typical operating controls of smartphones, provides all participating clubs with modules for tournament registration, reservation of tee times, courses with instructors and rental items, administration and booking of events or courses as well as further service performances such das master data requests, score calculator, webcam, weather forecast, and news. The Albatros iPhone or Android App provides your members and guests at any time, in any place, and regardless of your opening hours with information about your course or other golf courses using AWS. You assign personal access data for users of your course. Fewer phone calls will result in a reduced workload at the reception because users can access personal data on their own. Inform your users about last-minute special promotions so that they can spontaneously profit from your offers. Explore your creativity!